Renault Koleos has been refreshed and introduced by TC Euro Cars at their newly opened showroom at Glenmarie, Shah Alam. 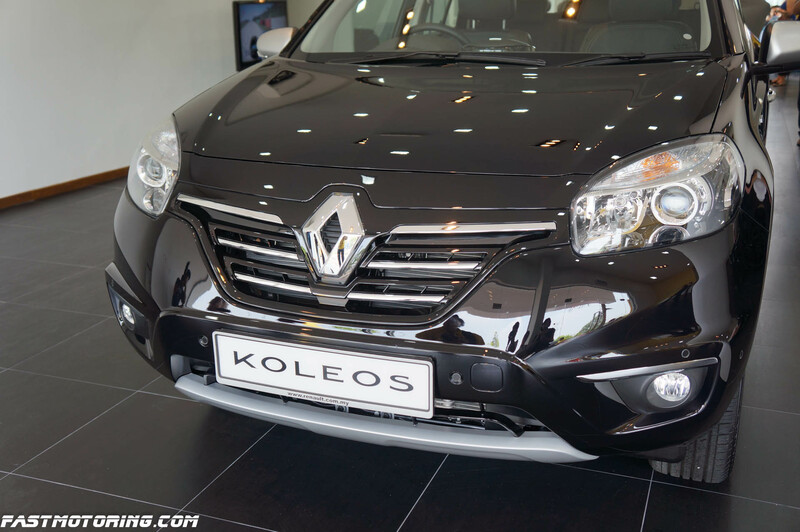 Renault have also revised the price for Koleos, it is now priced at only RM185,888 on the road. Exterior changes on the new Koleos are the new front grille design, fairly bigger Renault logo and a newly designed 17″ rims. 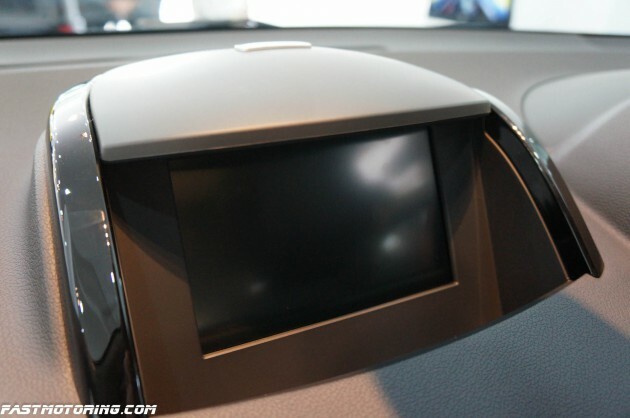 On the inside, Renault has included a new indash Renault R-Link multimedia system with 7-inch touchscreen display. It packs all the expected multimedia functions – GPS (Navigation), radio, bluetooth, USB, AUX, voice calls. Bose audio remains fitted in the Koleos. Another new feature that is equipped in the new Koleos would be the Blind Spot Warning (BSW) function which provides a visual alert whenever a vehicle is detected in the blind spot in order for the driver to make a safe overtaking. A reversing camera is also included to provide realtime image of what’s behind the car while doing a reverse. Under the hood, the Koleos remains unchanged, the 2.5litre 4-cylinder engine that produces 170hp at 6,000rpm and 226Nm of torque remains. A CVT with 6-speed shift is equipped along with this car. It is said to achieve 9.95 seconds from 0-100km/h. The Renault Koleos remains having six airbags. As usual, equipped with ABS, EBD (electronic brakeforce distribution), EBA (emergency break assist), ESC and understeer control. Besides, it comes with a wide range of occupant protection equipment, including load limiter seat belts for the front and outer rear seats, pretensioners for the front seat belts and Isofix child seat anchorage for the outer rear seats. In a rear impact, the head rests and seats of the Koleos have designed to ensure very high level of occupant protection. Pay a visit to the new showroom anytime from now to view the new Koleos as well as the Renault Megane R.S for now. Renault Fluence will be added to its collection soon at a later date.